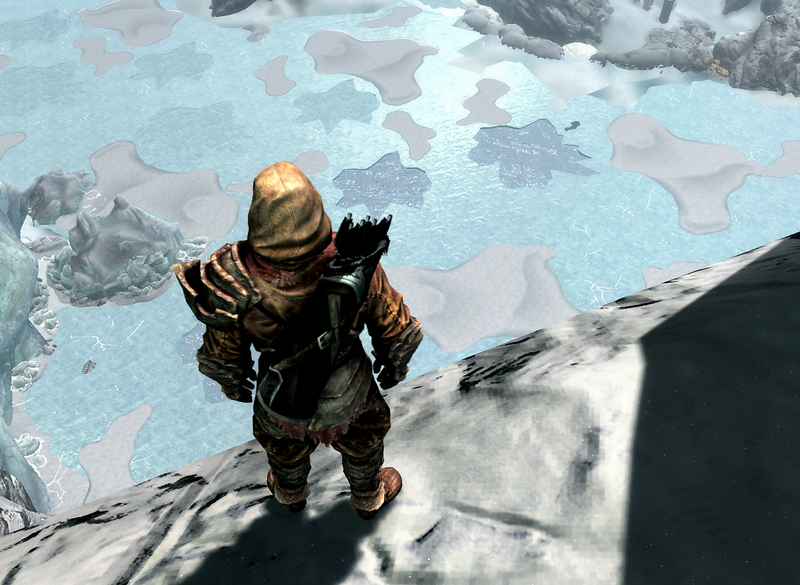 A fisherman about to try ice fishing in the Forgotten Vale got the bejeebers scared out of him when strolling on a frozen lake. Understandably, he did not want to revisit the lake to let me get some on-the-scene-photos. He preferred to give the interview up on a cliff, still too startled to go down there.